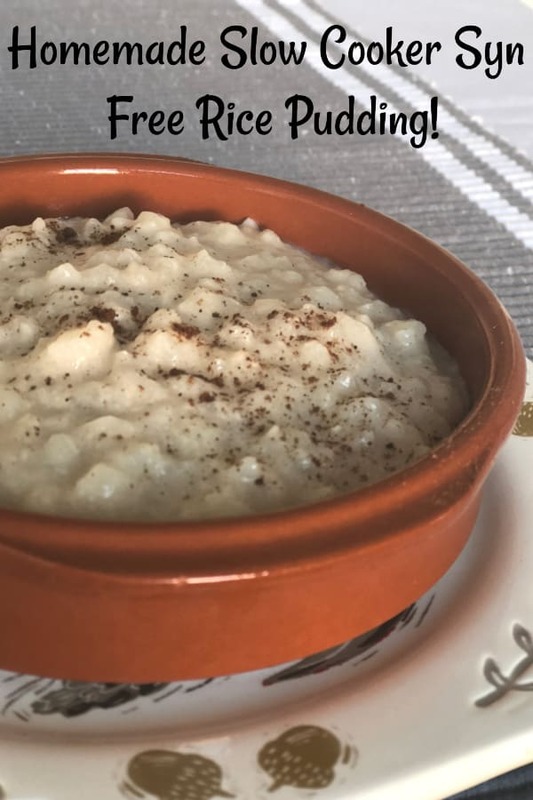 Amazing slow cooker syn free rice pudding…. 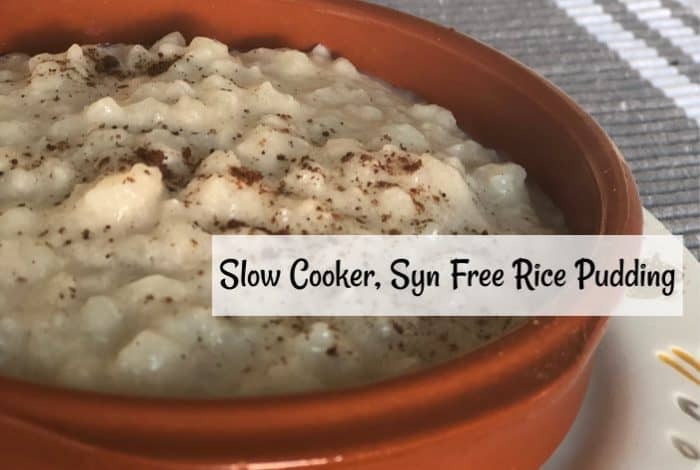 Slow cooker syn free rice pudding is our new favourite food – it’s a tastier and healthier alternative to our usual slow cooker rice pudding recipe and today, we’re sharing how to make it! October is traditionally the start of comfort food season in our house! We transition (the most popular word on social media right now) from quick and easy meals to casseroles and stews and from ice lollies to my favourite ever pudding – homemade slow cooker rice pudding. This year, we’re trying to be a bit healthier with our comfort food though so rather than our normal rice pudding recipe, we’re trying out one that uses almond milk instead of normal milk. Using the almond milk means that, not only is this a super tasty recipe that I can pretty much guarantee that EVERYONE will love, it also means that anyone who’s following the Slimming World plan can class this as being syn free if they use their HEA allowance of Almond Milk. It’s definitely not just a recipe for people on Slimming World as everyone in my family enjoys it and I promise it doesn’t taste like ‘diet food’ as much as my husband thought it would. The almond milk makes it super creamy and I genuinely like it better than my version made with just milk! It doesn’t have the sweet creamy taste that my usual recipe does though so if that’s what you’re after then this probably isn’t for you. 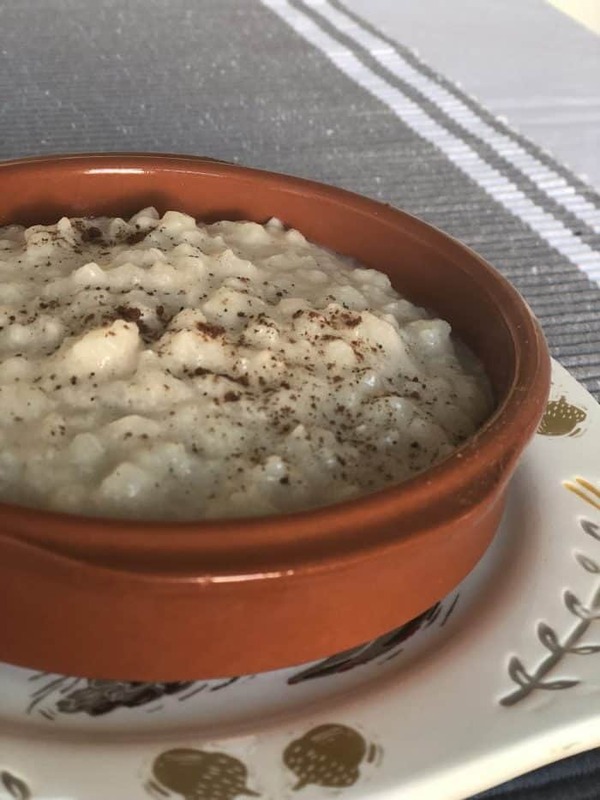 On the other hand, if you’re looking for a comfort food that you can have within your allowances on Slimming World or you don’t crave the sweet and creamy rice pudding that you might be familiar with then this is the one for you! This takes literally 30 seconds to prepare! Simply measure out your rice into the slow cooker, pour over the almond milk, sprinkle on whatever spices you like and stir. 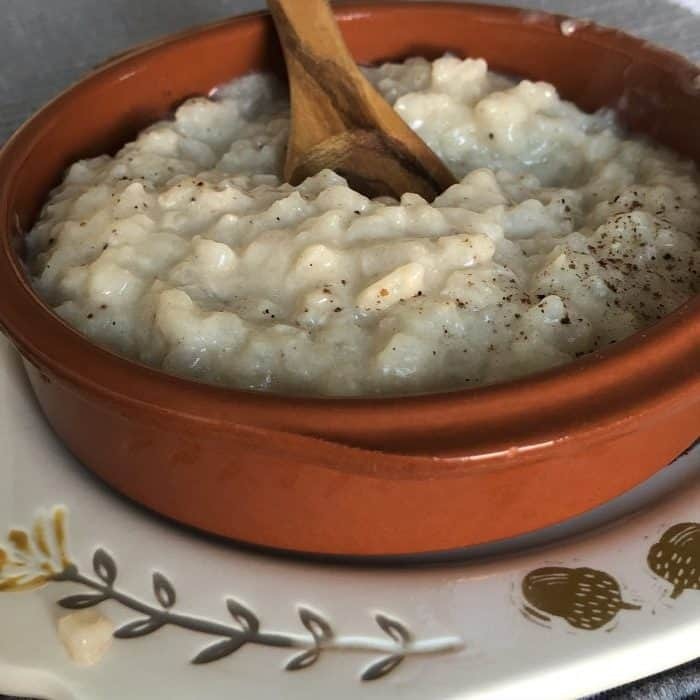 You could add a little sugar if you really want the sweetness but clearly, it then wouldn’t be syn free rice pudding so you might as well use my other recipe and get the full effect. That’s it! Just pop the lid on and leave it to cook on low for 3 and a half hours giving it a little stir halfway through. I like mine exactly as it comes with just a sprinkling of nutmeg on the top but the kids but a dollop of Nutella on theirs and Mr Frugal goes for a blob of jam!